Construction toys (and even construction sites!) have long held the fascination of boys–and even girls–and a construction toy of some sort could be found in almost every child’s home. Nowadays, electronics are taking over, and children aren’t using their imaginations during playtime like they used to. Whether your child enjoys dressing up in a hard hat and safety vest, “fixing” things around the house with their tools, or just loading up a dump truck and dumping it out, there is a type of construction toy out there for every child. Several types of construction toys have been classified as having STEM qualities. STEM stands for Science, Technology, Engineering, and Math. So that means not only is your child using their imagination and having fun, but they are also learning while they play! With so many different construction toys on the market, how do you know which ones are the best? Here at BornCute, we take all the hard work out of figuring out which construction toys are best by doing all the research for you! Below you will find the 10 best construction toys that made the cut to be featured on our list. Construction toys are just as popular now as they have always been. In this update, our researchers have spent a lot of time finding out which construction toys are most popular with today's generation of children. We hope you enjoy reading this article, and that your child loves the construction toy you choose for them! Manufactured in Green Toys’ California home base, this Dump Truck toy is another example of the point wherein environmentally friendly toys meet toys that are safe and fun for little ones. The dump truck has no metal axis but features a functioning flatbed that lifts to dump its cargo. Thick, treaded tires mean easy navigation over uneven terrain. Once again, no harmful chemicals or extra coatings on this product. The lifting flatbed will help develop motor skills, while the design strays from any kind of sharp corners or jabby elements that might hurt little fingers. It’s much like the dumpster in Green Toys’ three-pack, except that it’s a little larger. It can hold some cargo, and the mechanism of the truck’s back lifting and lowering helps children hone their motor skills. This clever set put out by LEGO is like getting two toys in one. First, a child will have the challenge of putting the construction vehicles together. The process is simple enough, but will still be challenging. Once the town truck and tracked excavator machines are made, it’s time to put them to work. Yes, these vehicles will actually work. They will roll around on their wheels. The dumping feature on the truck actually flips over and the front arm on the excavator actually makes a shoveling motion. To add to the realistic experience, the set includes two little construction workers figures and other accessories. This toy will challenge a child’s cognitive skills as they put the machines together. From there, a child will challenge their imagination skills as they set up their own construction-site experiences. It is good for sharpening visual skills since the parts are all bright, vivid colors. This toy is great for interactive experiences since a child can have fun playing with friends or siblings. Has smaller pieces that can get misplaced over time. This Duplo set is like getting two toys in one. This first a fun-filled puzzle for which your child will put the pieces together and then they will be able to play with the trucks they have just built. A toy truck that will provide kids with hours of play. Built to be used indoors or outdoors, this truck is great for playing in the sand at the beach or in a sandbox. It provides hours of imaginary play. A toy dump truck with a reputation for being made to last by a company trusted to create toys that will for generations. Can you say cute AND eco-friendly? You sure can, with the Green Toys Construction Set. Manufactured entirely from recycled milk jugs, these toys are BPA-, PVC-, and phthalate-free as well as being dishwasher safe. The three-pack includes three cute construction puppies (in red, blue, and green), one mixing truck, one dump truck, and one scooping truck. (The dump truck’s bed lifts up, and the mixing truck’s tank spins a little bit, though it takes a hardy push.) Each vehicle is approximately six inches in length and is light enough for easy travel and tiny hands. Green Toys recommends users of this toy be between twenty-four months and six years in age. These sweet little pups and their trucks contributed no greenhouse gas emissions, come packaged in green, recyclable materials (there are no plastic ties or wrap! ), and are printed with soy ink. Feel at peace with the busiest parent of all (Mother Nature) by purchasing a responsible, sustainable toy for your children to enjoy! This dress-up set actually gives a child a chance to take on the role of a construction worker. Made out of polyester material, the bright orange and yellow vest of the set has cleverly sewn-on pockets at the waist that resemble a tool belt. Along with this vest, the set also includes the bright yellow hard hat that is synonymous with construction workers. To complete the whole overall look, the set includes a pair of goggles for the child to wear over their eyes, plastic tools and also a plastic name tag where the child’s name can be written. In all, there are six pieces to this playset, put out by Melissa & Doug, that really make a child feel like a genuine construction worker. Playing dress up is a time-honored tradition that should never go out of style. Wearing a costume is a good way for a child to expand their imagination and engage in role play. With the inclusion of the hard hat and goggles, a child will learn the importance of always wearing safety gear, be it at work on a construction site, playing sports or riding a bike. Tools that are included with a costume can fall out of the pockets easily. Cute little play set that can double as a simple-to-put-on-and-take-off Halloween costume. This is an adorable little set of trucks for toddlers to play with. This set consists of three construction vehicles--a cement truck, dump truck, and bulldozer. Along for the ride with these three construction machines is a cute farm tractor that includes a connected wagon. The trucks are all bright colors and have little figures inside each one. They are made from sturdy plastic and are built to last. Each of the trucks also features friction power that helps a child control of the trucks as they move it along. This set of four vehicles helps a child work on their visual perception by being brightly colored and with cute figures. A child also will benefit by manually pushing the cars along with their hands providing good hand muscle tone and fine-motor-skill development. Because this is a set, the multiple vehicles encourage interaction among kids playing together and also offers the chance to sharpen imagination skills as kids pretend the trucks are really driving along. The vehicles measure from 4 to 8 inches in length. These are the ideal first construction-type vehicles for younger kids to play with. Adorable and visually appealing, these could occupy a child for hours. This toy construction vehicle is a bulldozer, no wait, it’s a dump truck, no it's an excavator. Well, actually it is all three of these construction machines in one cleverly made toy. Not only will this toy give kids a chance to actually take apart and put back together the truck of their choice for that day, but the toy functions beautifully when done. In fact, this clever little truck has what is known as a bump-and-go feature that is battery-operated. If a child wants to have the truck work on its own, all they have to do is turn this feature on and the truck takes off. If it should hit an obstacle, it will actually change directions. This is the perfect toy to occupy a child for hours. This provides a chance for a child to use their creativity. Kids will be able to create their own vehicles that actually work. It is a challenging puzzle that offers children a chance to work on their concentration and problem-solving skills. Also, it provides a child with sensory perceptions with the vivid visual colors and effects along, with providing various sounds such as music. This toy gives a child three different construction machines all in one toy and gives a child a chance to create the truck they can change on a daily basis, depending which one they feel like playing with that day. Let Junior assist mom and/or dad in the fix-it department with this wooden tool kit. The set features 24 wooden pieces, including wooden nails, screws, nuts, bolts, a hammer, a wrench, and a screwdriver. The storage box itself has properly sized holes drilled into the sides, so children can hammer and screw the various hardware into the wood without having to cart around any extra pieces. Compact, creative, and kid-friendly, this makes a great gift for any little one interested in fun, basic building techniques. Recommended for ages 36 months to 5 years. The features of this handy (wo/)man kit help children to practice hand-eye coordination, sorting skills, color recognition, counting, and problem-solving. It’s nice to have a compact, all-in-one toy that allows your child both the tools necessary for “repairs,” and a place to do them safely, without damaging furniture or other materials. A massive set by ETI Toys that is loaded with creative possibilities for kids. The set includes thin colorful blocks that have strategically placed holes that play a part in a child’s overall construction design. The set also includes an idea sheet which gives instructions on how to go about creating different types of models. There is also access to an 80-page e-book which contains more design projects to make with the set. But perhaps the main features of this set is that it challenges a child to let their imagination soar. A kid can construct things that they themselves dream up using this amazing STEM toy that gives them all they really need for hours of creative fun. This set provides fun while being truly educational in its principles. It gives kids a chance to sharpen their visual skills with the brightly colored blocks and constructing the models also requires concentration. If children don't want to make some detailed on the idea sheet or in the e-book, they can come up with their own creation, which unleashes their creativity and imaginations. A child also will work with their hands which provides hand-eye coordination and fosters fine-motor skills. This construction toy takes blocks to the next level. Ideal for ages as young as 5 and up, this set is great in that it allows a child to create to his heart's content. It’s a toolbox, it’s a workbench--it’s a ton of fun. This 68-piece Mega Toy brand dual workbench and toolbox is versatile in its functions and its age range (3 to 12 years old). With 21 screws of varying size, 16 bolts, a handsaw, screwdriver, wrenches, hammer, drill, and assorted other pieces, this set truly has everything. When your child is done, they can pack all the pieces back into the box, lock it, and carry it like a suitcase. For stationary play, there are removable legs that allow the kit to sit upright, a bit like a stool. The materials are light but sturdy and the tools are all close replicas, with a working drill that even makes noise when you pull the trigger. Customers have called this product “not just realistic, but REAL.” The materials are obviously not heavy, metal, or harmful, but the mechanism of the tools and hardware work just like the real deal. They won’t have to play pretend too hard; this set does the work for them. The working drill is truly a nice touch; it turns both ways and makes noise. It doesn’t hurt that the set is easy to lug around but also can live as its own more-permanent station if you prefer a longer-lasting set up. Construction toys have several benefits, which oftentimes ranges from pretending to be a construction worker, to finding out the tools they use. This, of course, means being able to construct something yourself. When finding construction toys to feature on our list, we wanted to emphasize the points that we feel truly illustrate the best construction toys for kids. So, that these toys will become fundamental stepping stones in a child’s overall development. Stimulating creativity is a benefit that will please a parent and a child alike. Kids love to be creative and freely express themselves. Construction toys give them this chance. Whether it is taking the time to actually assemble something using instructions or allowing their own creativity to flow while making their own unique creations. Whichever it may be, creativity is one of the main benefits of construction toys because creative ideas can flow forth. Using their minds to come up with answers and solve problems is something a child needs to start learning early in life. Construction toys can start to put them on the path of sharpening their cognitive skills. Whether it just putting together a simple puzzle, assembling a simple model or putting together a more complex structure, all requires sharpening the mind. With various types of construction toys, kids will use their hands quite a bit. Whether it is using the tools or putting together puzzles, or even creating their own models, kids will engage their hands in various ways in order to go about the construction process. Even while playing with the various types of construction toy vehicles, a child will grab hold of these and push them along. Therefore hand coordination is exercised, and a child develops more dexterity in using their hands overall. Playing with construction toys will give a kid a chance to put their imagination to use. While playing with the various types of play tools or construction-type vehicles, a kid pretends to be a construction worker. Pretend play helps a child to hone in on the imaginary skills, something that with today’s high-tech gadgetry could become obsolete. So, construction toys can help a child begin to imagine yet again. This could lead to them maybe one day wanting to be a construction worker, an engineer, or an architect. Q: Exactly what do the initials STEM stand for? A: STEM stands for Science, Technology, Engineering, and Mathematics, concepts that can be found in many construction toys on the market. Some are actually advertised as being STEM-related, which is a shout out to parents that the toy has been actually certified to cover these bases. Q: Are construction toys ideal for girls to play with as well as boys? A: Sure, why not. Little girls can be just as interested in construction toys as boys are. The best thing to do is not to discourage this interest but encourage it. The days of there being toys designed only for boys and ones designated for girls don’t apply any longer. Kids shouldn’t have to have stereotypes placed on them by society. If girls want to work with tools or want to experience the fun of playing with construction toys then they should have that opportunity. Q: When did LEGOs first hit the market? A: The LEGO company was founded in 1932, although the colorful interlocking plastic brick that has become so synonymous with the brand came out in 1958. Since this time the brand has created several interactive kits such as the one, we featured above. Q: Is the Original Tonka Classic Steel Mighty Dump Truck still available on the market? A: Yes, the Tonka dump truck that was first put out on the market decades ago, which was built from steel with tough rubber tires is available to purchase online. Two things to keep in mind though, unlike the one we featured here, the classic one will cost quite a bit more since it is metal and also a classic toy. The classic steel version really isn’t designed to be toddler or younger kid-friendly. As stated above, it is very heavy because of the steel construction and so could be dangerous if it were to be thrown or dropped. But for those who are classic toy collectors or older kids who are die-hard construction toy collectors, this could be a sound investment. Q: Do these toys require adult supervision? A: It goes without saying that the construction toys aimed at toddler age do require supervision by an adult. But regardless of the child’s age, interaction by parents could be essential to their growth. Not only will this lead to quality time and bonding but also will give a child a sense of validation. If a parent takes an interest in what the child is making with their model kit or even takes the time when the child is old enough to teach them how to actually fix things around the house, it works toward bringing the lesson even further. In life, a child’s best teacher can be their own parents who encourage their child in their own talents and pass on talents that they have that the child has shown interest in. 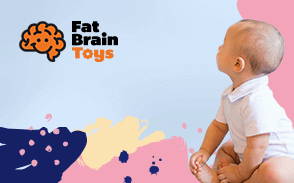 Q: Are all these toys really safe and nontoxic? A: As we stated above, the ones we placed on this list are nontoxic. As far as safety goes, nothing is ever completely safe in this life. As with any toy, it is always a good idea to follow the directions set forth by the company. If there is an age restriction, make sure that this is abided by. If there are safety tips and instructions that come with the toys, read these carefully.